The remainder of the circus industry would be wiped out with the passing of the Traveling Exotic Animal and Public Safety Protection Act (TEAPSPA)- H.R. 1759. If passed, this legislation will destroy the conservation of endangered species in human care. Click here to read the exact text of the bill. 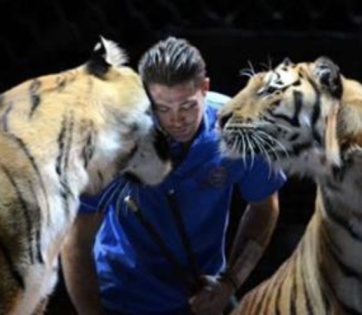 The Traveling Exotic Animal and Public Safety Protection Act, if signed into law, would prohibit the exhibition of exotic animals in traveling performances. This is a measure that would deprive countless Americans the ability to experience endangered animals up close such as elephants and tigers. The ability to encounter such a majestic creature fosters a love of wildlife in children that lasts a lifetime. There is language in the TEAPSPA that will outlaw the breeding of exotic animals, which in turn can and will affect endangered species negatively. Zoos, aquariums, and private owners are responsible for the conservation and reintroduction of many endangered animals including but not limited to the Scimitar-horned Oryx, the Przewalski's horse, and the California Condor. Without the tireless efforts of zookeepers these animals would be extinct in the wild. H.R. 1759 will send these animals to sanctuaries where they will be managed to extinction instead of being preserved.